July seems to have rushed past without a blog entry. I'm not entirely sure why as I haven't actually stopped reading! I have however, been reprimanded by my slow consumption of novels. For that, we can all have regrets! I think the reason is a combination of too many hobbies, (people will keep asking me to make cake and the garden just keeps on growing!) and the occasional need to push the hoover round the house and actually do some teaching, marking etc. I am also not a speed reader, and prefer meandering through a plot rather than a motor through that misses spectacular views along the way. essential if you are to take on such a weighty tome. It is that momentum which I find hard to grasp hold of in everyday life. I still find that reading is an antisocial pastime; by necessity it shuts out everyone else, so I tend to do most of it in the 15 minutes to half an hour before bed. Such stitled consumption is not the best way to read, especially when some nights, my poor eyes won't allow me much beyond a single chapter, (sometimes even a single page)! So, to avoid totally denegrating George Eliot, I must hark back to halycon days of student life, when my whole existence was centred around a reading list. Lectures were 4 per week and seminars the same, so most of my time was spent with my head in a book in the Hartley Library (5th floor, bay window overlooking the main campus). 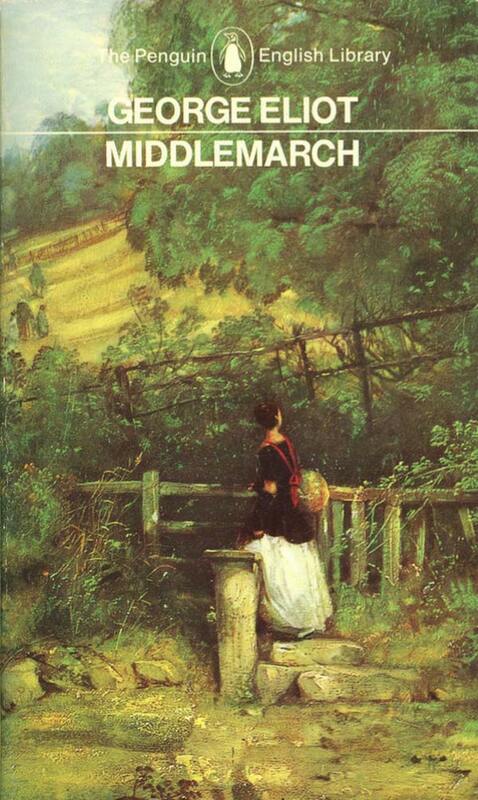 Read so indulgently, Middlemarch will bring its rewards. Onto my first read that nudged into "official holiday reading time." 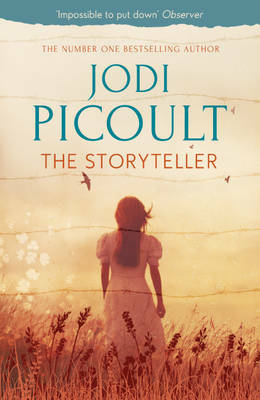 This was The Storyteller by Jodi Picoult. Here, she adopts her usual style of a different narrator for different chapters, but I loved the fact that some of the chapters were very long, enabling key characters to tell all of their story rather than dividing it up. This was particularly the case with Minka's tale; a harrowing story of holocaust survival. I dislike the sensationalist way that Picoult promotes her books. Even her official website begins with such a blurb. The questions are not how can you live next to such evil? Will she bring herself to do what he asks? Rather they are about humanity and its extremes. The book serves a new audience, bringing a key part of history to the popular novel, and she writes well. This book is not sensationalist,and this is why I baulk at its advertising. If you have done the same, then I urge you to reconsider adding this book to your summer reading lists. The novel works on several levels, one being about narratives themselves. Grandma Minka used to write tales herself, and one of her stories forms a narrative that weaves through the contemporary storytelling. At first this seems like an unnecessary intrusion, but ultimately it serves a bigger purpose to bring the various plot strands together. The title is apt, considering carefully how we use stories and narratives, how all of our lives are made up of storytelling in some way or another. And the ending? I confess to being disappointed at first. The protagonist Sage Singer (silly names for all the modern characters I'm afraid) seems to be condemned to a life of lies, or at least, a life of shadows. This seemed unfair and I wanted (surprise, surprise to anyone who knows me) a more uplifting conclusion. But as I strolled to the patisserie boulangerie to get my morning croissants, my head was filled with Sage Singer and her conclusion, and I think it was a most fitting end. Like her Grandmother, there are things that she will choose not to tell, and like her Grandmother, she will choose silence to protect those around her. Reading about the holocaust whilst on holiday in Normandy had an added poignancy. We visited the Dday beaches of Omaha, Utah and Gold and saw the graves of thousands at the American, English and German Cemeteries. So many sacrifices for freedom and democracy. The stories of the Ghetto and the Concentration Camp in German-occupied Poland, retold so well in Picoult's novel, underlined the reason that the allied forces needed to regain France and conquer Hitler. The German cemetery was also poignant. It is beautifully kept and has an appalling record of the total numbers that have been killed in WW1, WW2 and subsequent conflicts. Humanity does not have a good track record. Poignant too is the acknowledgement that many of those in uniform for the Nazi machine, were conscripted and participating in a war that they would never have chosen. Picoult too brings out simultaneously the compassion and the cruelty that existed behind the Nazi machine of war. 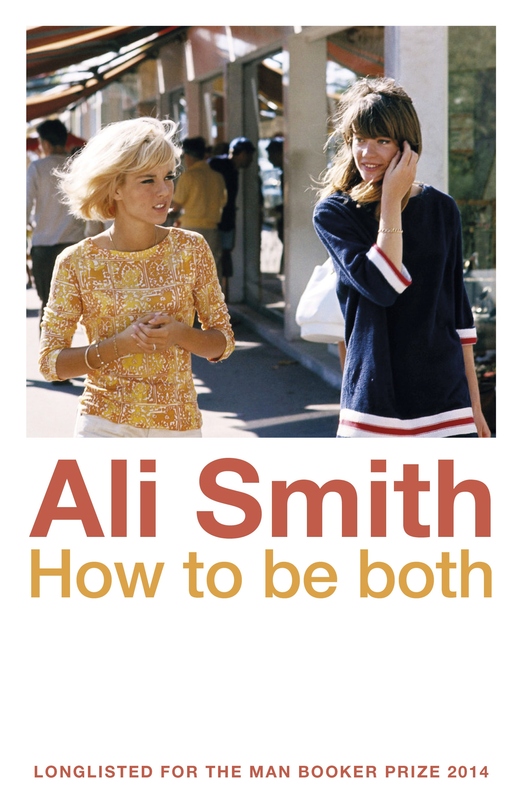 And onto a complete shift of gear, I moved into Renissance art and contemporary narrative with Ali Smith's How to be Both. I was intrigued by this, as the narrative is experimental. Those of you who have been loyal blog readers from the start will know that I like this. But I'm not sure that it fully worked. The idea is that different readers will buy the book and some will purchase a text beginining from the perspective of "Eye" and others will have a novel that begins from that of "Camera." I read on Kindle which meant that I had the choice. I chose "Eye" first because logic told me that without the eye then the camera is nothing. Discussion with my family threw doubt on my premise however as the cliche about the camera never lying belies the eye itself. Still, I went with my first instinct and read the "eye" first. This narrator it soon transpires, is speaking from the grave. He is an artist of the Renaissance and struggling to make a living. We hear of his adventures, his friends and his painting. Some of his lines are written in poetry to create a further form of art within art. He is an interesting voice and the revelation about his character is beautifully created, teasing the reader through implication before final revelation is achieved. His narrative then includes a modern teenage girl whom he seems attached to. It is through her that he can have a viewpoint on modern life. And yet, he does just observe, rather than comment. I particularly enjoyed a renaissance description of mobile phones! The modern narrative is also well constructed and is focused on a mature teenager who is grieving the loss of her mother. The art of the "Eye" forms the cohesion of the text, providing a link between the two narrators. That however, is not the most significant link. Here the reader does the most work, and I imagine the points of discussion around the comparisons between the two protagonists is almost limitless as different readers will make different connections. 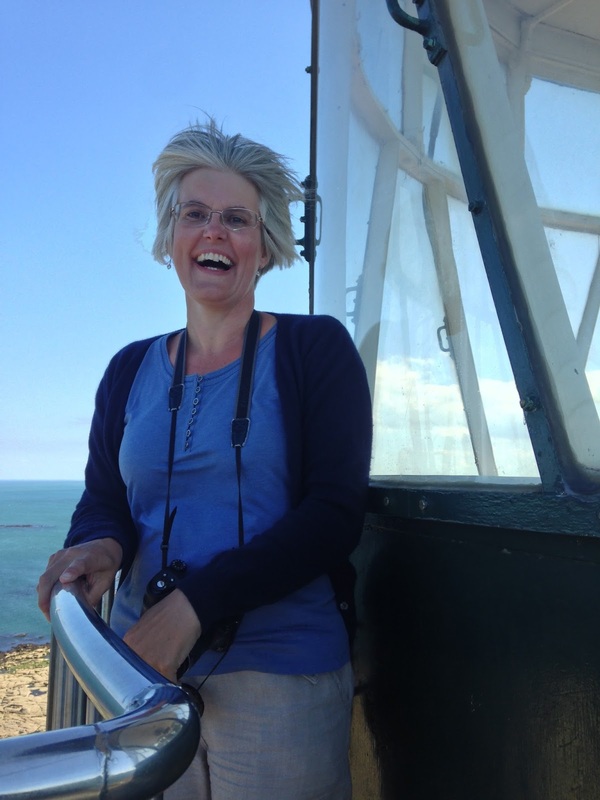 The idea is that readers will have different interpretations dependent on which way round they read the novel. If anyone has read it "Camera" first, I would love to hear your ideas. I intended to read it twice, made very easy in the Kindle version, but that doesn't fully show me whether the empathy and connections made would be different because I can't unknow what has happened from my first reading! I loved the experiment in narration, but wasn't happy with the ending. There wasn't one really, and that is a problem for me. Yes, I can fill in the blanks, I can justify it, but I wanted a full meeting of ideas, concepts and ideologies between the two timeframes and the two protagonists. Interesting, but not for those who like closure...and a bit arty and experimental for those like my husband, who like their fiction just a little more straightforward! Thank you for your reviews, and, yes, reading as a reviewer does take time - but don't let it get in the way of "having a life"! I would however ask that you please make a very slight alteration to the following: " ... the stories of the Polish Ghetto and the Concentration Camp retold so well in Picoult's novel ..." . To many readers of your blog this could easily be interpreted that the Ghetto and Concentration Camp were owned, created, managed, etc by Poland/Poles, not merely that they were located in "Poland". So, I would ask you to please have that phrase read as " ... the stories of the Ghetto and the Concentration Camp in German-occupied Poland retold so well in Picoult's novel . Technically and historically, all references to the WW2 Poland should always be described as either German-occupied or Soviet-Russia occupied, depending on the specific time period, and the specific geography in mind. For all the concentration & death camps normally referred to, that would be German-occupied Poland. Sadly, not many people are aware that in addition to the fairly well known invasion by the Germans (the Nazis were a political party, not an invading army) on 1 Sept 1939, the Soviets invaded Poland and occupied from the east on 17 Sept 1939. So, little wonder that Poland fell to these two treacherous forces by early Oct 1939. Therefore, Poland & Poles never wanted, and were significant victims of slave labour, concentration and death camps, torture, property theft, national vandalism, and major art and antiquities theft. Auschwitz was initially created in early 1940 to contain certain Polish citizens who the Germans wanted out of circulation as they would be likely activists in the Polish Resistance (AK - Armia Krajowa). These Polish political prisoners were tortured and murdered by the tens of thousands before the Nazi German's Final Solution for the Jews began to be implemented in 1941. So, please make it crystal clear to whom those horrific camps belonged, by amending that phrase. Apologies for my inaccurate phrasing. I certainly didn't mean any offence. I am grateful for your full and helpful comments and have amended the blog post accordingly. Karen, thank you very much indeed! The term 'Polish concentration camp and Polish Ghettos' is incorrect. The German Nazis established the 'concentration camps and Ghettos' on occupied Polish soil. The camps were not Polish as implied by the comment. Please correct the error. Corrected. Please accept my apologies. terms "Polish ghetto" or "Polish concentration camp" are totally incorrect and offensive, as all the camps and gehttos were established and operated by German Nazis in the occupied Poland. Moreover, Auschwitz - Birkenau to which this deceitful term refers in the article (as Ms Picoult wrote about this camp) was built in the area annexed by Germany (Third Reich) after invading Poland in 1939. So, even the soil on which Auschwitz - Birkenau camp was built was during this period of time 100% German. The camps and ghettos were not Polish as implied by the article then. Please correct the error. Thank you for your comment. No offence was intended and I have amended the article. Please accept my apologies. Thank you for the correction! I feel like right now, thanks to your reaction, we are one step closer to the better, more truthful World.